READY TO DRIVE AWAY - TODAY! BRAND NEW 12 MONTH MOT, JUST SERVICED AND COMING WITH 12 MONTHS COMPREHENSIVE NATIONWIDE WARRANTY AND 12 MONTHS AA BREAKDOWN COVER. THIS LOW MILEAGE EXAMPLE LOOKS GREAT IN GRAPHITE GREY METALLIC AND IS IN TRULY EXCEPTIONAL CONDITION THROUGHOUT. FIRST TO SEE AND DRIVE WILL BUY! JUST ARRIVED! 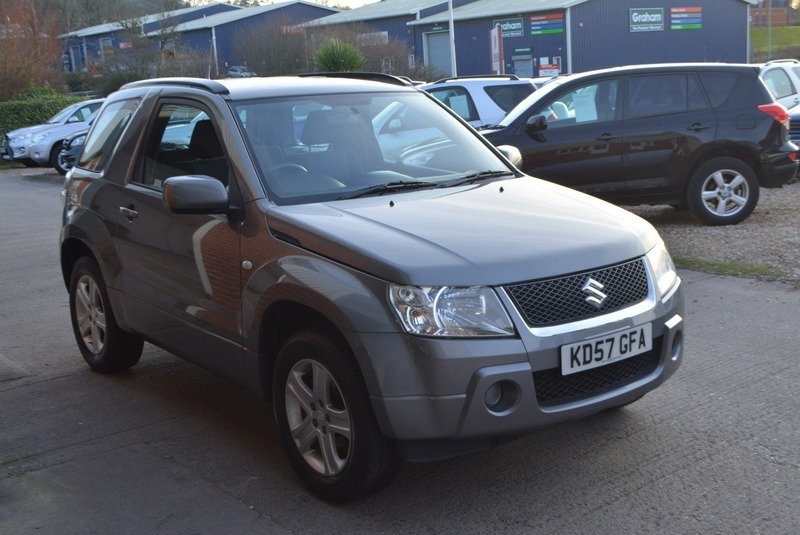 Here we have a stunning SUZUKI GRAND VITARA SZ4 1.6L PETROL MANUAL 3 DOOR 4X4 in grey metallic with black cloth interior in fantastic condition throughout. Coming with a full 12 month MOT, just serviced, 12 months nationwide warranty and 12 months AA breakdown cover, alloy you to buy with confidence. Coming fully equipped with alloy wheels, air conditioning, rear mounted spare wheel, fully folding rear seats, electric windows, am/fm stereo with front loading cd player, electric mirrors and two fully remote keys.